The Zodiac serial killer terrorized northern California in the late 1960s and early 1970s. Right after the murders he would contact the police department and newspapers, phoning in or leaving letters with ciphers to be decoded. This film is not just about the events that took place, but more about the personalities of those who investigated the unsolved crimes. David Fincher, director of Se7en and Fight Club, executes Zodiac with precision. 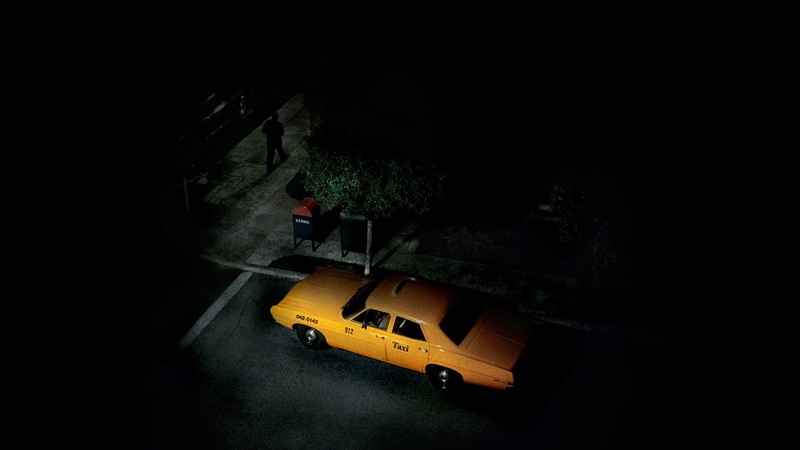 There is a haunting dread that arises in the murders, and they are all unique and separated meticulously by the details. 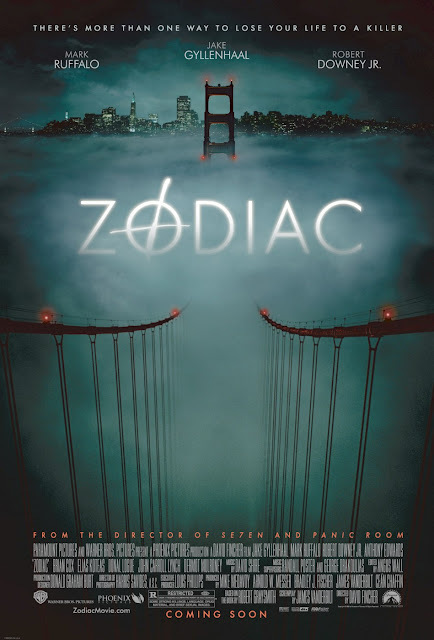 We initially start with investigator Paul Avery (Mark Ruffalo), following all the evidence and trying to match the handwriting in the Zodiac's letters with the suspects. Once the case becomes public, thousands of people begin to call in, stacking up the number of bogus suspects and slowing down any real progress. The Zodiac killer's frequent attention seeking from the news media captures the attention of Robert Graysmith (Jake Gyllenhaal), a cartoonist for the San Francisco Chronicle who initially helped the lead reporter (Robert Downey Jr.) decode the ciphers. Long after the case has gone dry, Graysmith (The author of the book the movie is based on) picks up the pieces and starts to reexamine the evidence. Robert Graysmith's research is actually the main focus of the film. Him, along with the media circus surrounding the Zodiac killings display the general public's fascination for serial killers. Graysmith's personal investigation (which later starts to manifest as a book) consumes his whole life. He bothers Paul Avery along with all the former players in the case. They have shelved the files years ago to work on new current crimes, but can never truly escape the Zodiac murders. Graysmith finally finds a prime suspect, but discovers that he doesn't have the power to act on the evidence. Like David Fincher's Se7en, Zodiac haunts us with the notion that horrendous acts of cruelty can go unpunished.